Key rings There are 4 products. 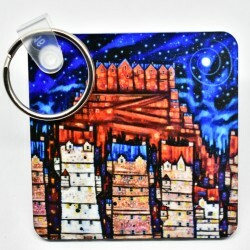 Also available in: Placemats Coasters Small Print Large Print Wiro Notebook Fridge Magnets 'Auld Reekie Moon' is part of theClassics range, high quality individual key ring printed from an original Ritchie Collins painting. 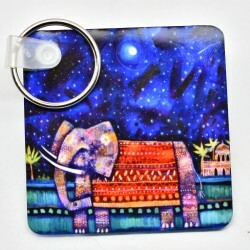 Also available in: Placemats Coasters Large Prints 'Elephant Journey' is part of theClassics range, high quality individual key ring printed from an original Ritchie Collins painting. 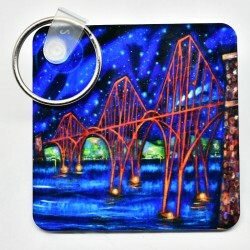 Also available in: Placemats Coasters Large Prints Small Prints Fridge Magnets 'Forth Rail Bridge' is part of theClassics range, high quality individual key ring printed from an original Ritchie Collins painting. 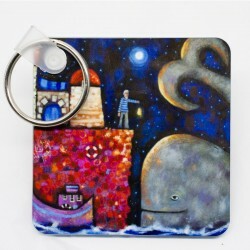 Also available in: Placemats Round Placemats Coasters Round Coasters Wiro Notebooks 'Whale Tale' is part of theClassics range, high quality individual key ring printed from an original Ritchie Collins painting.